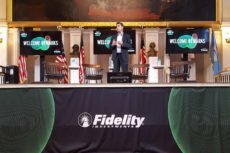 Fidelity is going to widen the list of cryptocurrencies available on its institutional crypto platform called Fidelity Digital Asset Services. More and more firms dealing with traditional finance are going in for cryptocurrencies. Now it’s time for Fidelity Investments to expand its activities.